Two of these coins are counterfeit. Which ones? 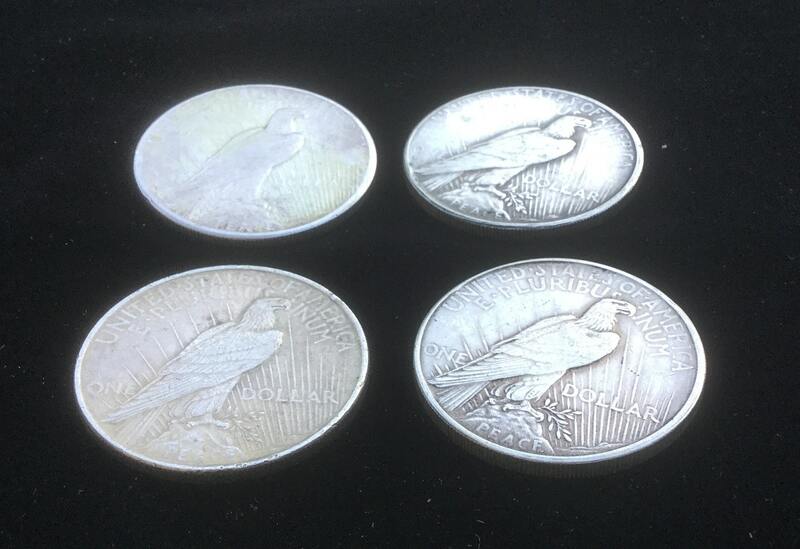 We bought two peace dollars at auction last evening. Later my husband, the collector, noticed a couple of odd things... There were red flags that prompted us to do some research. What was the primary alarm bell? 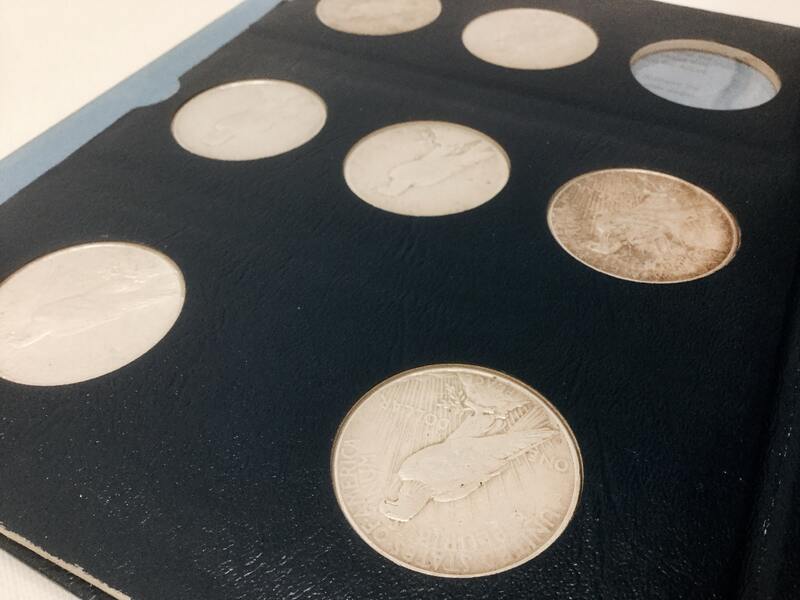 After he put the coins in the album, he noticed that they did not match the others when he turned the page. In other words, the lineup of their tails was wrong. This simple and obvious check of how the front and backs line up was not mentioned online at all in our research about USA peace dollars. 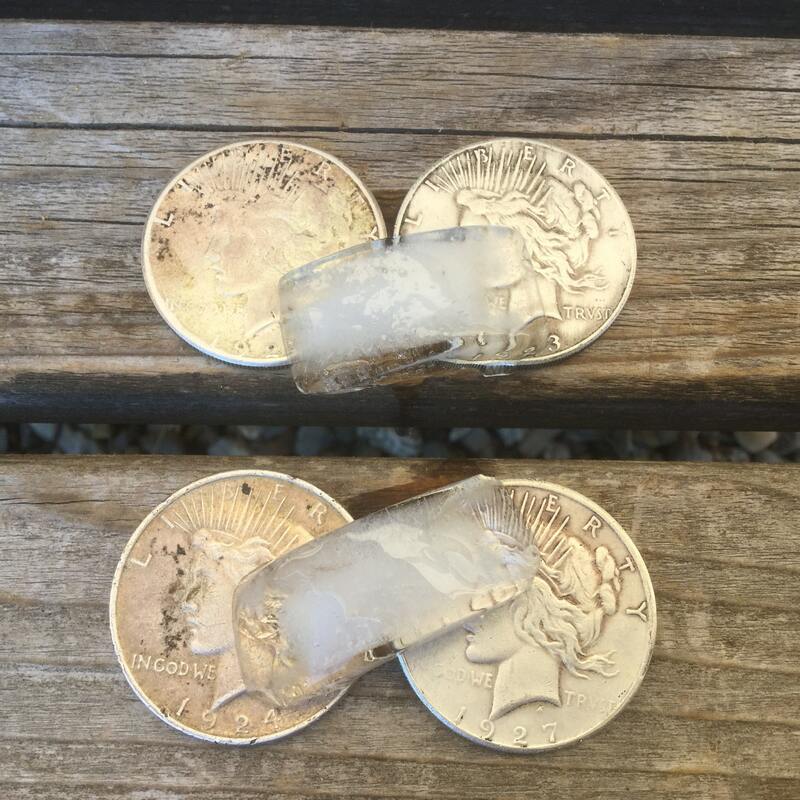 Here are some tests to determine if your silver coins are counterfeit. 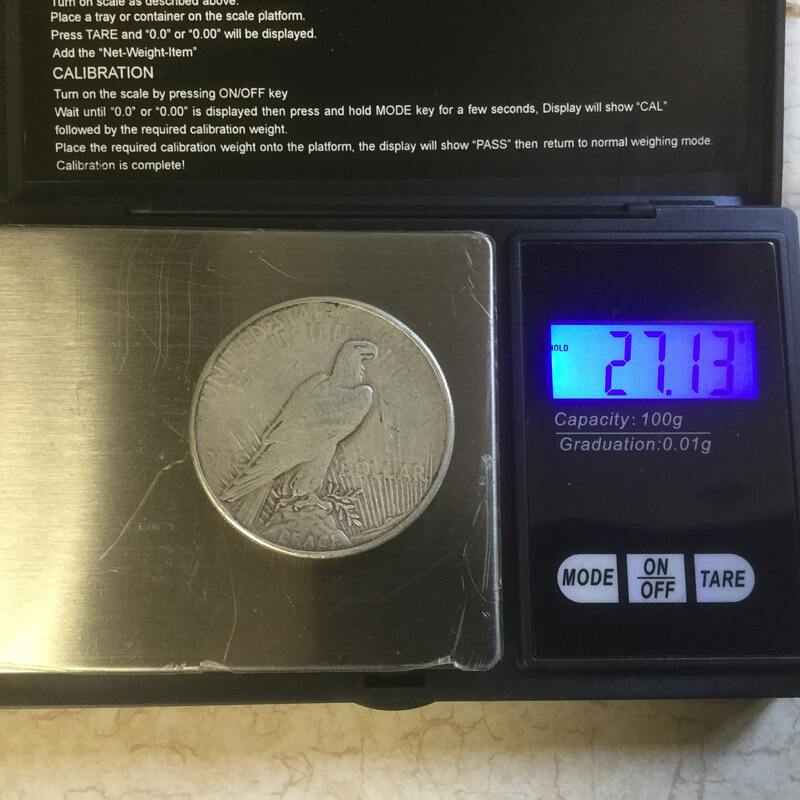 If you sell a lot online, you may already have everything you need to test silver coins. How does its weight compare? ✅ The front and back (obverse and reverse) should line up exactly, clocked at exactly 6 and 12 o'clock. Easy, right? ✅ Do a "ring test." The sound was off. Could we be sure? There are "ring test" apps for this. ✅ We weighed them on a jewelry scale. One weighed too much -! ✅ Stack them up against other real peace dollars. 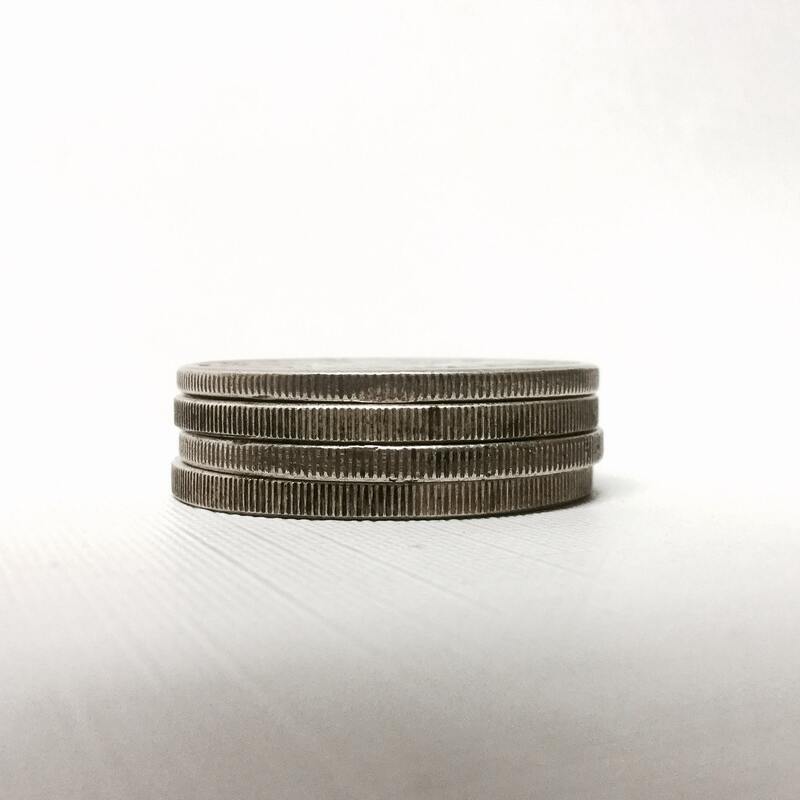 In this case, the problem coins are slightly thicker than the rest. See the photo. ✅ Check with a regular magnet. We found no magnetism. ✅ Examine the lettering (looked OK for worn old coins). ✅ Inspect the finish under magnification for holes like Styrofoam. None found. ✅ Slide a super strong little neodymium magnet down the coin. Silver has some magnetism. The little magnet's travel will be slow, almost sticky. 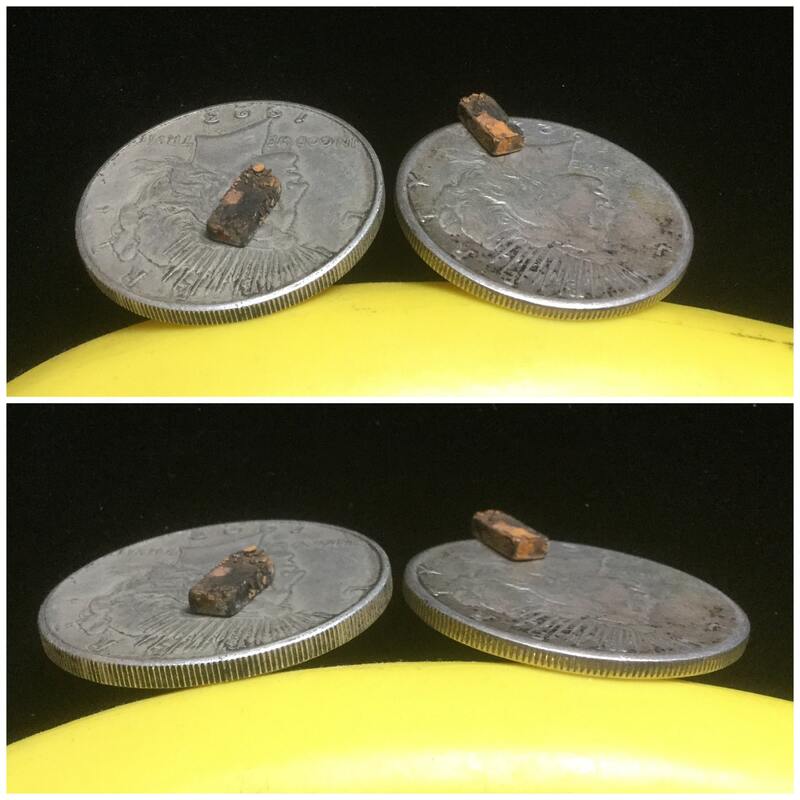 Depending on what metal is in the coin, for fakes, it could slide down faster. However, this stronger magnet STUCK to the counterfeits, not to the solid silver coins. Which ones were counterfeit here? The two on the right, the 1923S and the 1927. I am glad we caught it early enough to return them. It is good to use a reputable auctioneer, too. The tail (reverse) was off, slightly clockwise on the two coins on the right. 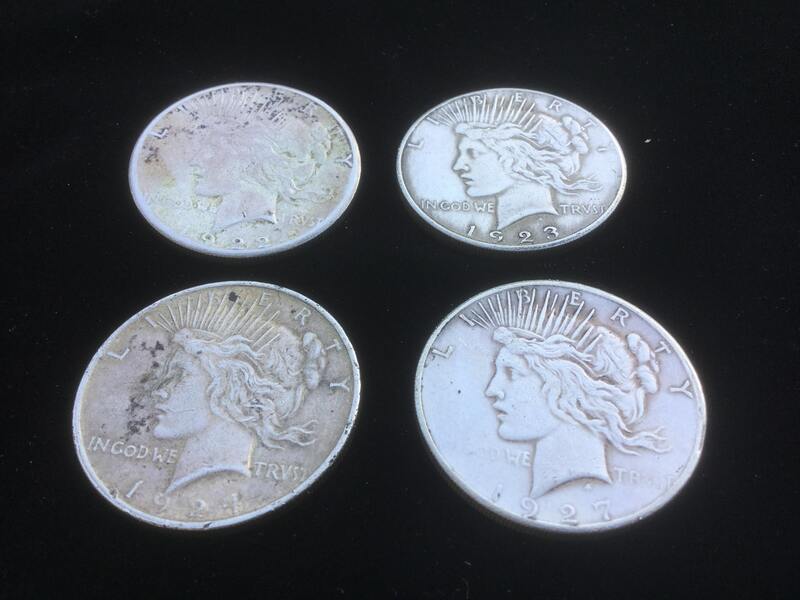 Check all coins from different angles, in good light. 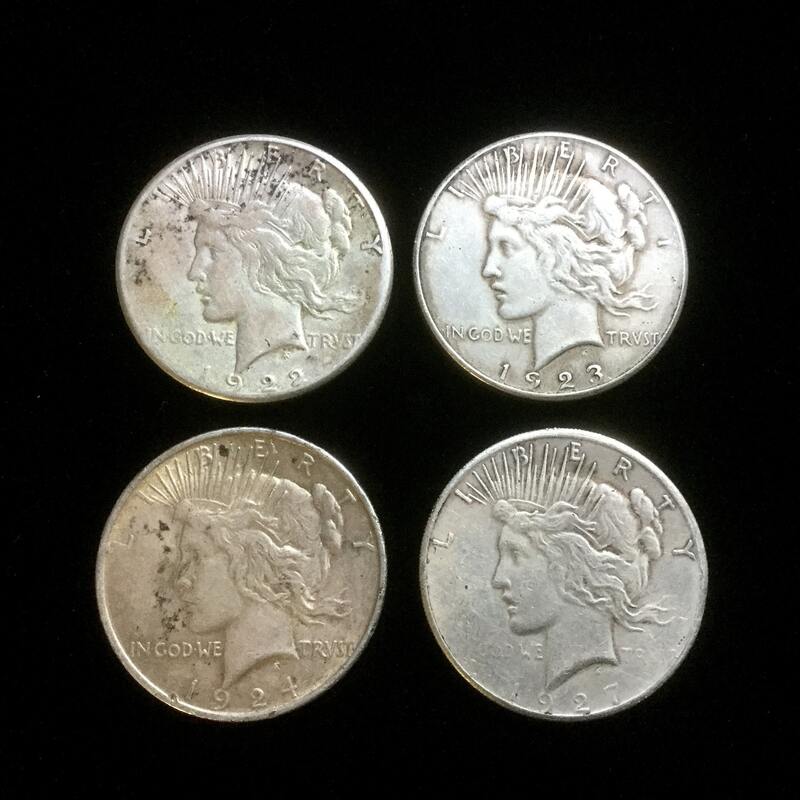 The two on the right turned out to be counterfeit. Thanks for sharing this little bit of our vintage journey. We learn something new every day selling vintage! 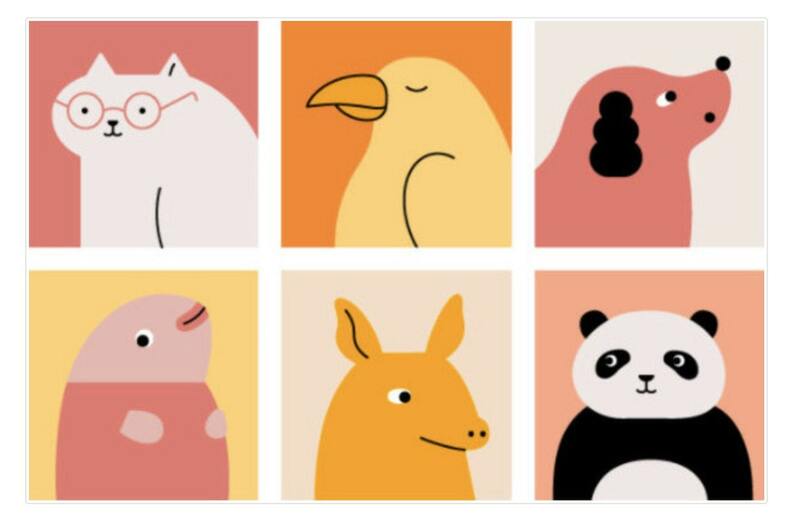 Have you seen Etsy's new guest avatars? This is how I found out: I had a few sales over the weekend. This morning while packing up orders, I noticed the same avatar on two of my buyers. That happens once in a while, the buyer makes a second purchase without saying anything. No problem, I repacked to combine their packages. Except I happened to take another look. It was two different buyers, yikes! 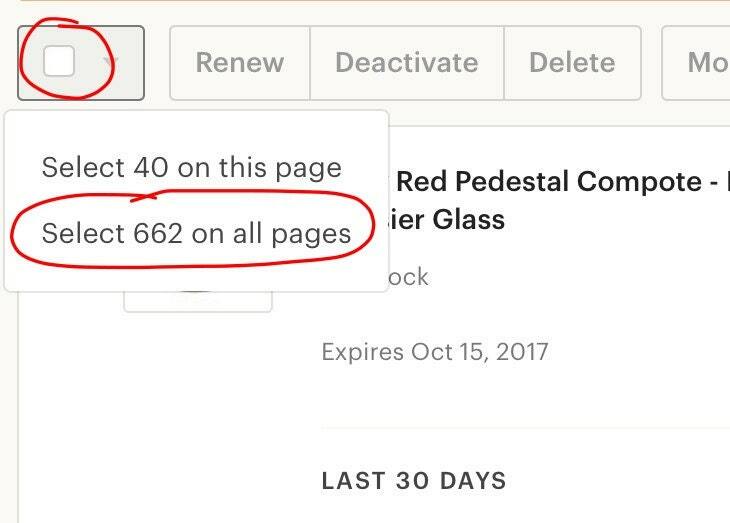 "When a buyer makes a guest purchase in your shop, you’ll see their full name on the order along with one of these guest avatars..."
"Your guest orders will appear alongside orders from signed-in Etsy members and can be fulfilled in the same way. There is no additional fee for guest checkout." Good to know... Now you know, too. 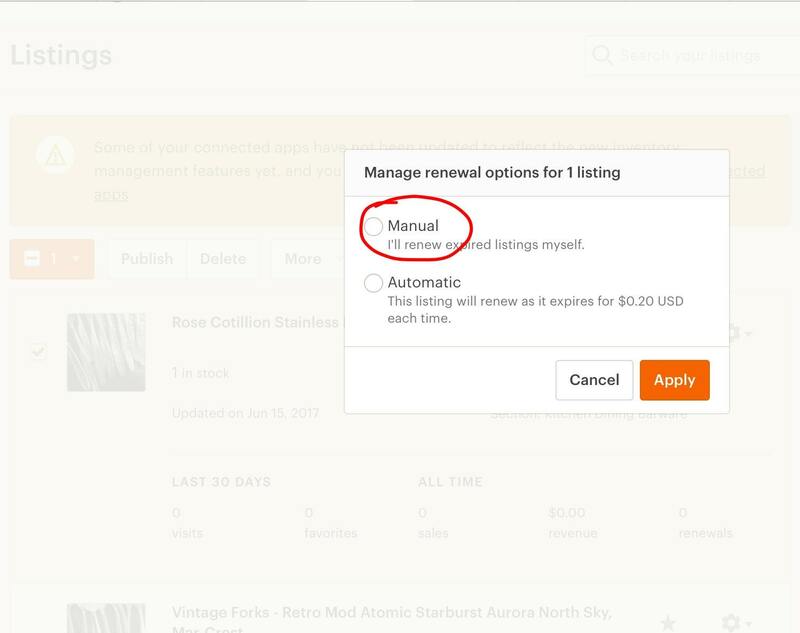 Etsy recently announced that all new listings will default to automatic renewal. There is an easy workaround if you prefer to renew manually. It is simple. Go to your active shop listings page. Arrange it so that your listings are the newest first. Tic the orange select box to select your newly listed items. Then, along the top, it says "Renew, Deactivate, Delete." After that is "More." Click that. Select "Manage Renewal Options." A box appears that gives you the choice to make those listings manual. Tic (select) the round box next to that. Click "Apply." Done! Click on "manual," "apply" and you are all done. Stay tuned for more quick tricks for Etsy selling, and online selling in general. Sales are tanking... what should you do? Time for some soul searching. What is the issue? 1. Is there demand for my items? 2. How is my pricing? 3. Are my photos top-notch? 4. 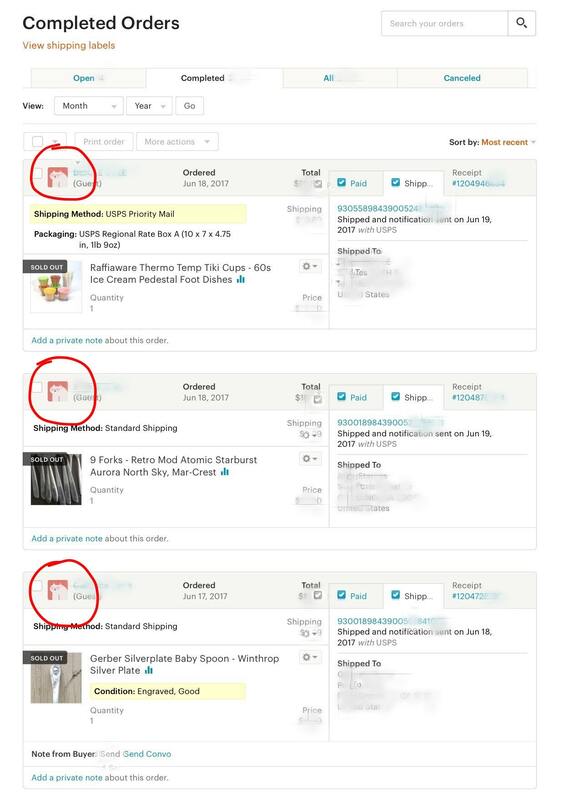 Have I optimized my listings for SEO and getting found on Etsy searches? I continually see shops with weak tags and titles. 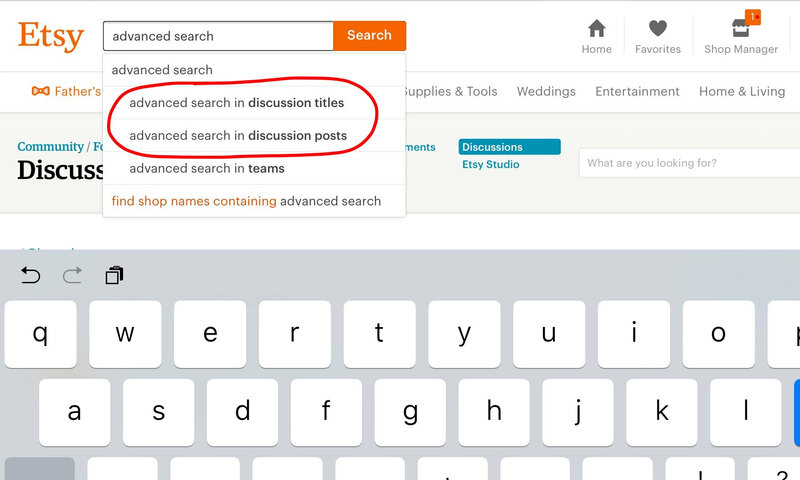 Before deciding on words for your title and tags, always ask yourself if a shopper would type those words into the search bar? If not, avoid using them. Take action on any of the four above issues that need work. Get everything is in shape. See if sales increase. It could be that your items are simply not being seen. Many categories are saturated with listings. Etsy's promoted listings get your items in front of more potential buyers, more exposure. There are no short cuts. Successful advertising campaigns depend on the above four points. Your items must be in good shape as to photos, in demand, pricing and SEO/Etsy relevancy. Keep costs down by making maximum bids low. Give it a month or two and see if things improve. What about changing what you sell? Perhaps there is not very much demand for some of your items. Experiment with selling other items. Try specializing more. Or less. Research trends. Perhaps rebranding your or refreshing your product lines will improve your sales. One vintage seller added a "DIY" section to her shop. That dovetails with her branding. Other shops might consider a party section. Both of these ideas may involve reselling of new items (allowed with craft and party items). The dollars could be smaller. But listing multiple quantities is less work. 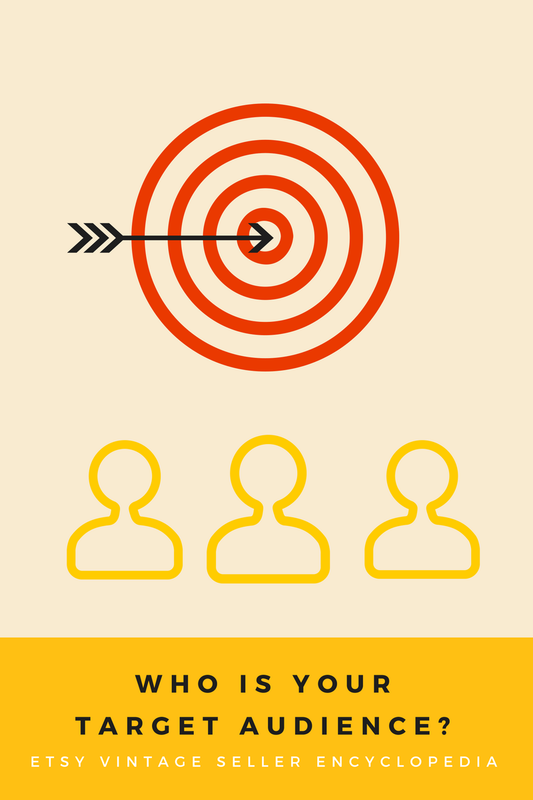 You are attracting a different target audience, broadening your selling reach. 1. Rent a booth in an antiques mall. This is a good way to dip your toe into local in-person sales. 2. Sell at shows. This can be a lot of work. At the right show, profits can be high. 3. Sell on Craigslist or another local venue (especially larger items). 4. Open a brick-and-mortar shop. Be sure to do your research. You will have to collect sales tax on any sales within your state, even online. 5. Open a Pattern shop. It now allows you to offer items less than 20 years old. Your items on Pattern can differ from what you sell on Etsy. There is a $15 monthly fee as well as final value fees. You are still subject to many of Etsy's terms and conditions. If you lose your selling privileges with Etsy, it will include your Pattern shop. 6. Create your own website. Most involve a monthly charge but no listing charges and no final value fee. Showcase your brand and creativity. There will be payment processor fees, however. There is no traffic, so you must drive traffic to your own site. Many sellers like making their own rules. 7. Sell on another online venue. 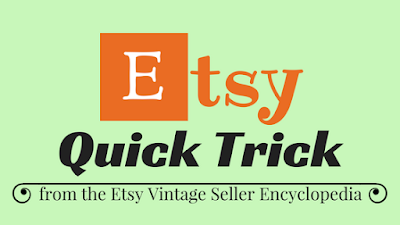 Many Etsy vintage sellers sell on eBay already. Some items sell well there, particularly collector items. Perhaps yours will. Other websites include Amazon, Artyah, Artfire, Bonanza, Ruby Lane, eBid, eCrater and more. There is even a start-up in the works. Meditate on it. Ask a trusted friend. Carefully consider your options. Does your business need a remix? How will you change it up? How will you ensure it is working? When you build a house, you need a solid foundation. When you form a business of selling, you need to figure out who your typical customer is. Build your business on that foundation of your target market. Many sellers feel that their target market is "everyone." But no one shop's appeal is that broad. You must delimit your potential audience. If you do not, you can get discouraged very quickly when sales are slow. Besides, if your target market is "everyone" you need to market to them. No one can afford to market to everyone. No one. Here is an example: if you are watching a major sporting event, you will see different commercials than shown during a children's cartoon. The same with an afternoon soap. Why? Even big corporations with a large budget target a specific market and not everyone. 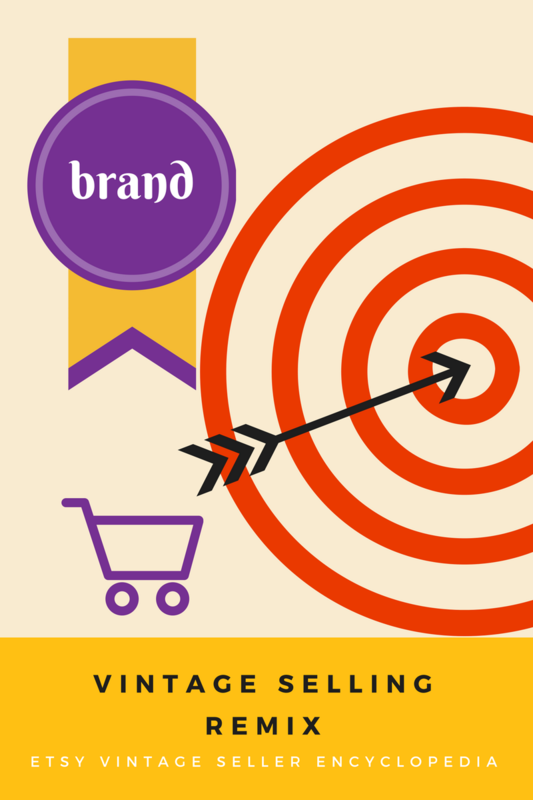 With a clearly defined target audience in mind, it is simpler to determine how and where to market your items. In fact, small Etsy shops can easily compete with large shops by targeting a niche market. This does not mean that you are excluding people who do not fit your criteria. Rather, target marketing allows you to focus your marketing efforts on a specific slice of market, the people that are more likely to buy from you. The goal is to reach other people like them who could also love your products. Tailor your marketing to them. Most shops have a small market. How can we get seen by our best potential customers? 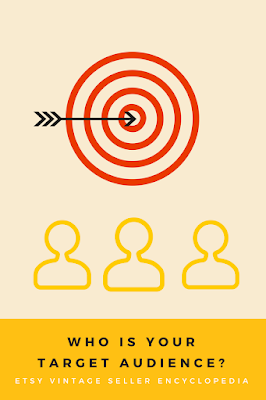 Defining your target customer is essential for effective selling. It is the most affordable, efficient, and effective way to reach potential clients and generate business. Who is your current customer base? What are their common characteristics and interests? Which factors bring in the most business? Why do they buy from you? Once you have your benefits listed, make a list of people who have a need that your items fulfill. What about your competition? Who is their target market? Who are their current customers? It is not necessary to copy them, but you may find a niche market that they are overlooking. Gender - male or female? Education - high school? college? Family status - single collectors? Married mothers? How do your items fit into your target's lifestyle? What types of things are most appealing to your target? How and when will your target buyer use your items? Does your target market use social media? Other websites? Should you expand to another selling website? Should you start your own website? Do not break down your target too far... You can have more than one niche market. 1. You can reach more than one niche effectively with the same message. 2. If there are only 50 people that fit all of your criteria. How do I find all this information? Educate yourself about your target market. Read magazine articles and blogs that talk about your target market. Read material that talks to them. Peruse blogs and forums where people in your target market express their opinions. Look for survey results, or consider conducting a survey of your own. You could ask your current customers for feedback. Are there enough people out there who fit my criteria? Will my target market really benefit from my items? Will they see a need for them? Can they afford my products? What drives my target market to make decisions? How do I reach them with my message? Are they accessible? Whew, that is a lot of work! Here is a fun way to do it. Defining your target market is the hard part. Once you know who you are targeting, it is much easier to figure out how to reach them and what message will resonate with them. Visits and sales will follow. So, who is your target market? How can you reach them with your message? Here is more reading. Here is a recent forums discussion on the subject. "Whenever I have a question, I like to search to see whether it has been asked before. But all I find are irrelevant threads. What am I doing wrong?" Searching the forums can be a challenge! 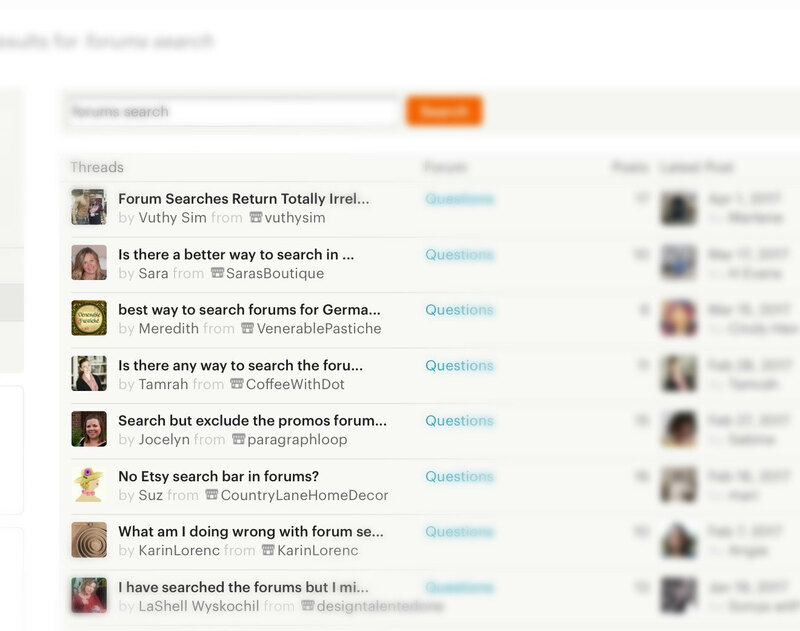 First, go to the forum most likely to answer your query, like Questions, Discussions, or your team. Next, go to the topmost search field on the page. Begin to type your query. As you type your query, some choices will pop up. Select one and voila! your answers. Another method is to make a search from Google. Something like "Etsy xxxx." Be aware that in a Google search, the results need to be indexed first. So your results may be older than the first method described. If you use the Google search method for a teams search, the thread must be public. I hope that this journey into searching Etsy's communities has been helpful!